Since the Civil War over 150 years ago, nurses have provided anesthesia care to patients in the United States. It is said that this is the oldest nursing specialization in the U.S. However, the CRNA credential used by Certified Registered Nurse Anesthetists has only existed since 1956. CRNAs practice in all 50 states in the US. They are licensed to deliver all forms of anesthesia care under the Nurse Practice Act of each state. This includes all anesthetic techniques such as general, spinal, epidural, peripheral nerve block, sedation, or local. According to the American Association of Nurse Anesthetists (AANA) 2012 Practice Profile Survey, they safely administer more than 34 million anesthetics per year to patients in the U.S. These Advanced Practice Nurses can be found in literally every setting where anesthesia is delivered. They have been the primary anesthetists for the U.S. military on the front lines since World War I. They practice in every type of hospital setting where anesthesia is used. They practice in offices of plastic surgeons, dentists, podiatrists, and more. 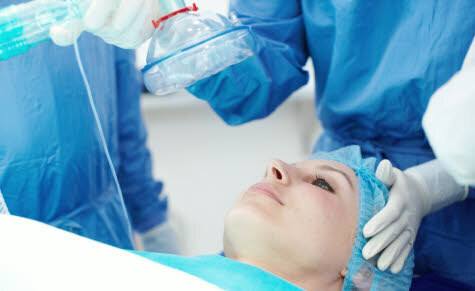 Certified Nurse Anesthetists operate in collaboration with anesthesiologists, surgeons, dentists, podiatrists, and other qualified healthcare professionals. In some states, collaboration is required between the patient’s physician who gives medical direction to the CRNA. In other states, physicians and other healthcare providers are simply required to give consent to or order the CRNA to administer the anesthetic. But no state requires a CRNA to be supervised specifically by a medical anesthesiologist. The details of any such required collaboration is controlled by the laws of each state. The scope of practice is further defined or controlled by the practice location’s clinical privilege and credentialing process, anesthesia department policies, or practitioner agreements. In order to be accepted into a CRNA program, colleges and universities require that you hold a Bachelor of Science in Nursing (BSN) or some other appropriate Bachelor’s degree and hold an unencumbered license as a Registered Nurse. You are required to have at least one year of experience as an RN in an acute care setting (some programs may even require two years). The programs themselves typically require 2-3 years to complete depending on the university. The clinical hours required for the programs are significantly more demanding than those required for other APRN specialties. After graduating from an accredited nurse anesthesia program, you will be required to pass the national certification exam.